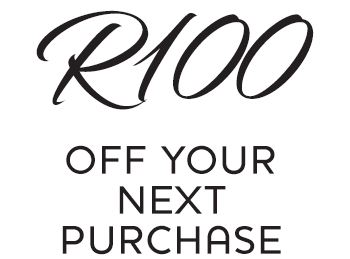 R100 off your next order! We're offering you a R100 voucher. Sign up to our newsletter and your voucher code will be sent within a confirmation email. You'll also now receive the latest product news & promotions. Yay!